The system that performs the delivery of computing as a service over the network is the Cloud Computing. It is the service that provides shared resources and software information to the computers. In Cloud computing, computation, software, data access etc are provided to the end users. The end user can access the informations in the network without needing to understand the system’s components and infrastructure. The term cloud is used to represent the Internet system similar to the cloud drawing used in earlier telephone system to give point-to-point data circuits for the Virtual private network. Cloud computing evolved as a natural process of visualization and service oriented computing. The details of the system are accessible to the end users without much effort. Cloud computing is the consumption and delivery model for IT based services and uses web based tools for the easy access of the users. Using these tools, the user can access the data from the web browser easily using the programmes in the computer. 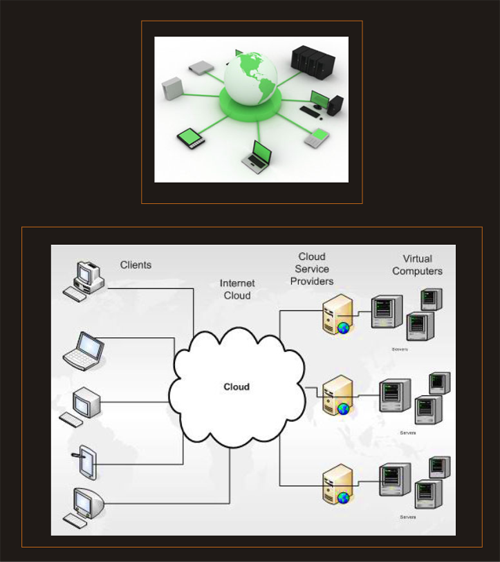 Cloud computing services deliver various applications through the internet and the uploaded datas are stored in the remote server computer. In some cases, the legacy applications are delivered through Screen sharing technology. Computing resources are consolidated by the remote server computer and coded using web technology like AJAX which uses the combination of HTML and CSS. 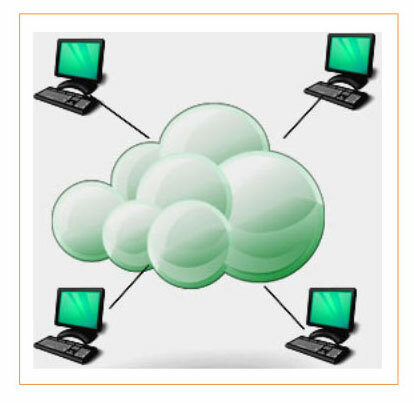 Cloud computing system has services that are delivered through shared data centers for single access for the users. Business firms make Service Level Agreements (SLA) with the servers. Applications of engineering technologies and knowledge in cloud computing is known as Cloud Engineering. It provides a systematic approach for the standardization, development and maintaining the computing systems. Cloud Engineering is multidiscipline field involving systems, software, hardware, performance, security, platform etc. In the cloud storage system, the datas are stored in multiple virtual servers hosted by third parties. Hosting companies manage large data centers for the users to host, buy or store the datas. The data centers virtualize the resources according to the needs of the customers and expose the storage pools so that the customer can directly use the stored files. This Data storage centre can be accessed through the Web service Application Programming Interface (API). Cloud storage Gateway is the Server that resides near the user to translate the datas of the cloud storage API. Cloud storages gateways have provisions like backup, caching compression, encryption etc. 1. Client – The system Hardware or Software that is used for the application delivery. 2. Application – This part of the system deliver software service over the internet so that the end user can access easily without installing the software in the computer. 3. Platform – It provides a platform for the user as a service using the cloud infrastructure and applications. This helps the user to use the Platform without spending money for soft wares and hardware. 4. Infrastructure – This gives the computer infrastructure like Raw storage and Networking services to the user. The infrastructure typically includes a Platform visualization environment for the user. 5. Server – The Server system has Hardware and Software designed to provide cloud services. This includes Multi core processors, Operating systems etc. This is the method of clouding to share the resources to the public over the internet as a self service though Web applications. It shares the infrastructure between the organizations for a specific community having common requirements. The community cloud is managed internally and hosted internally or externally.T he cost of the service is limited to a few users. It consists of two or more clouds like private, community or public clouds. This offers multiple deployment models. This type of cloud is owned by a single organization managed internally or externally by a web hosting service. It is the globally interconnected clouds and is the extension of internet services. God saved you from University College’s dirty socialists. That escape made you an expert in an alien area away from the usual job. I remember, you suggested me Opera as a fast browser. Your language very simple and information worth and job lasting. Dear Muhammed Ali Jhinnah Sahib I.